Taking the “LEED” for Green Schools. The usual demands of building a school — a tight budget and strict schedule — weren’t the only challenges of the Riverside High School project. 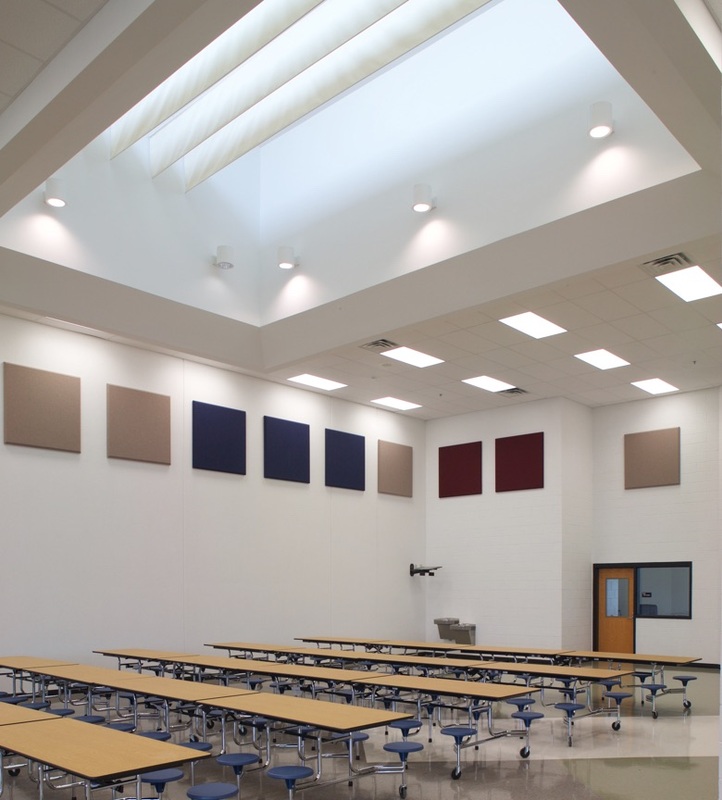 The new school also needed to achieve LEED certification — one of the first in the country. Tindall‘s precast panelized system, energy efficiency, low maintenance, and healthy environment did more than add crucial points toward attaining LEED certification. It ensured significant energy cost savings for the future. The two-story, 250,000-square-foot high school was constructed in just eight months — four months faster than scheduled. This was due to simultaneous foundation and manufacturing work, precast erection speed, and on-time delivery of materials. Despite the speed of construction, no detail was overlooked. The exterior featured sandblasted concrete and inlaid brick that echoed the look of traditional schools, all while providing superior quality and low maintenance. The internal structure features columns, beams, and solid wall panels, while the exterior walls are composed of insulated panels, all supporting floor and roof construction of double tees and solid slabs. Tindall created unique trapezoid classrooms with windows on two sides, ensuring more natural light, and utilized long free spans to provide an open, flexible interior space. "Riverside High School was a tremendous undertaking… The school’s precast concrete structural system was a benefit in many ways to the successful completion of the high school… The fast track schedule of precast was the most contributing factor to meeting the completion schedule of Riverside High School."